At the Colony, we're always seeking to push the boundaries of taste by producing the boldest and most innovative meads in the world. Using modern techniques, precise fermentation controls, and the most refined elbow grease, we produce honey-based alcoholic beverages that surprise the palate and amaze the judges. Our meads burst with flavor and glide down the throat with sophisticated, layered profiles and unparalleled smoothness. 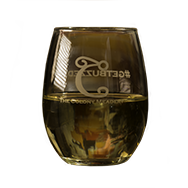 The best way to experience our mead is in one of our two tasting rooms. No reservations are necessary to come in and taste or purchase bottles. Located in a former Mack Truck factory in South Allentown, our tasting room offers tasting flights, mead on draft and by the bottle, mead slushies, and regularly scheduled tours. Obviously, our sign will look better than this. Our second location will be at 211 E Third St in South Bethlehem. Anticipated opening approximately Spring 2019. In our first year of competitions, we won 13 medals at the three national mead competitions, far more than any other meadery. We're not done winning. We're proud to be in a hub of craft beverages. We share our building with County Seat Spirits and Hijinx Brewing Company, both crafters of excellent urban made beverages. Tasting, mead by the glass, and bottle sales are available any time we're open; just walk on in! Tours can be reserved below. Use the code MEAD for a discount! Greg is the Biggie fan. Mike is the one almost smiling. Like a lot of stories, The Colony Meadery’s started with a return home. Well, of course it didn’t really start there. Who can say where a story starts? In this case, it might have started when Greg and his college roommate first decided to make a batch of mead in 2004; or when Mike’s first batch of mead won medals in 2008; or with an art show that inspired Greg to write about craft beer; or when Mike won best in show at Valhalla and got to pro-am a batch at Moonlight Meadery; or a million other moments. 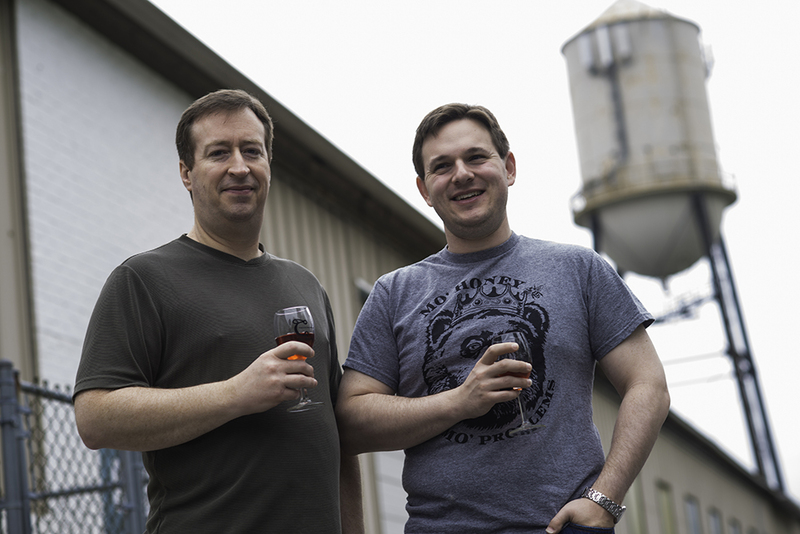 But whatever else The Colony Meadery is, it’s a partnership, and that started when co-founder-to-be Greg Heller-LaBelle moved back to his childhood home of Bethlehem, Pennsylvania, and revived the Lehigh Valley Beer Society. LVBS was a hifalutin name for a group of about a dozen local beer lovers. The August tasting every year was a little special; everyone was encouraged to raid the cellar and bring something dusty out. The cellar of the LVBS’s newest member, however, had run dry, and - not wanting to be that guy who brings homebrew to a beer tasting - Mike Manning decided to bring some of his homemade mead. Greg asked if Mike had ever considered becoming a professional meadmaker; Mike said no. That might have been the end of it, but Greg was a longtime beer blogger who had paid too much attention to the craft beverage industry not to see an opportunity, and had spent too much time in the startup world to ignore an opportunity when he saw it. Three months later, they shook hands over a draft of a business plan. The Colony Meadery started selling in late 2013, with a focus on clean finishes and bold flavor profiles. We've come a long way in a short time, thanks to good buzz and tireless drones. We were the most decorated meadery in the country during our first year of competitions, winning 13 medals across the three national mead contests, including five at the largest, Mazer Cup International. Diz, gazing into the future of mead. Or possibly at a squirrel. We are a fast-growing company almost always looking for more worker bees to join the Colony. If you're strange enough to work with us, fill out the form below. And, please: don't try to be normal.